“The first target of the mercenaries in Syria was the air defense. Before attacking any other military base it was the air defense… This is the other proof that Israel was in direct link with those terrorists in Syria. So, they attacked those bases, and they destroyed a big part of our air defenses,” he pointed out. “Of course, it could, because when the Unites States trampled over the international law, on daily basis sometimes in different areas for different reasons, any country in the world could have such an attack,” he said in response to whether an attack was likely. 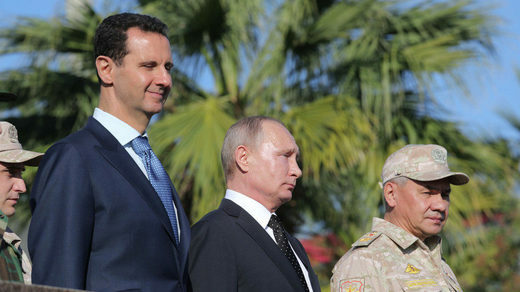 “As long as you don’t have an international law that could be obeyed by the United States and its puppets in the West, there is no guarantee that it won’t happen,” Assad added.Assad said that Russia’s threat to strike at US launch sites had prevented a broader attack by the United States and its allies than the one Syria came under in April. “We were close to have direct conflict between the Russian forces and the American forces, and fortunately, it has been avoided, not by the wisdom of the American leadership, but by the wisdom of the Russian leadership,” he said. The president stressed Russia’s support was needed to stabilize the country, “but we need at the same time to avoid the American foolishness,” he added. “Our enemies and our opponents – mainly the West led by the US, and their puppets in Europe and in our region, with their mercenaries in Syria – they try to make it farther, either by supporting more terrorism, bringing more terrorists to Syria or by hindering the political process. Assad said his government faced the challenge of acting faster than its adversaries to “close the gap between their plans and our plans.” “I think we are succeeding in that regard,” he added. The United States carried out a series of airstrikes on Syria’s alleged chemical sites on April 14 in a joint effort with the United Kingdom and France. Despite Israel’s claims there are no Iranian troops in Syria, but there are Iranian officers who assist as military advisers, Bashar Assad said. 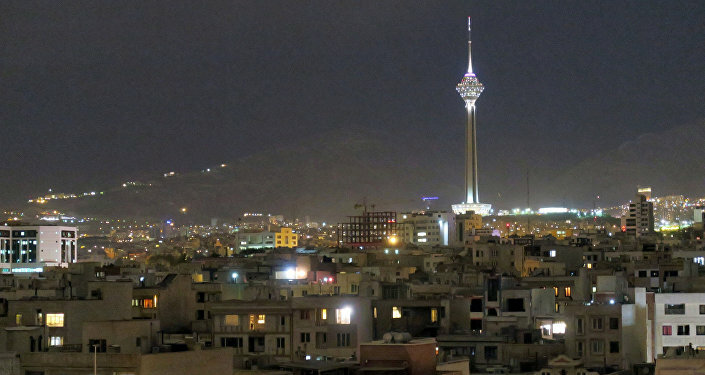 “The most important fact regarding this issue, is that we do not have Iranian troops. We never had, and you cannot hide it, and we are not ashamed to say that we have, like we invited the Russians, we could have invited the Iranians,” Assad stressed. “The starkest fact about their [Israel’s] lies about this issue, the Iranian issue, that the recent attack a few weeks ago, they said that they attacked Iranian bases and camps, as they said, allegedly, and actually we had tens of Syrian martyrs and wounded soldiers, not a single Iranian. So, how could they say that we have it? So, it is a lie,” Assad stressed. The conflict in Syria is not a civil war, since the very beginning it was a struggle against terrorists and “the West’s mercenaries,” Syrian President Bashar Assad said. “The word ‘civil war’ has been used widely since the beginning of the conflict in Syria, even by our friends, and by our allies by mistake, without understanding the content of this meaning. Syrian ‘civil war’ means there are sectarian lines based on either ethnicities or sects or religions or maybe political opinion or political currents, let’s say, something we do not have in Syria,” Assad said. “What we have actually from the very beginning are mercenaries, Syrians, and foreigners being paid by the West in order to topple the government … If we had civil war for seven years, we should have been divided by now. You cannot have one country, united country, united society, it is not geographically because now of the Unites States’ puppets and the Turkish puppets. If there were a civil war, then you should have a divided society,” Assad stressed. “The more we get closer to the end, the more they want to make it farther … The more reconciliation you have in one area, the more killing and destruction and trying to capture more areas by the terrorists we will have. 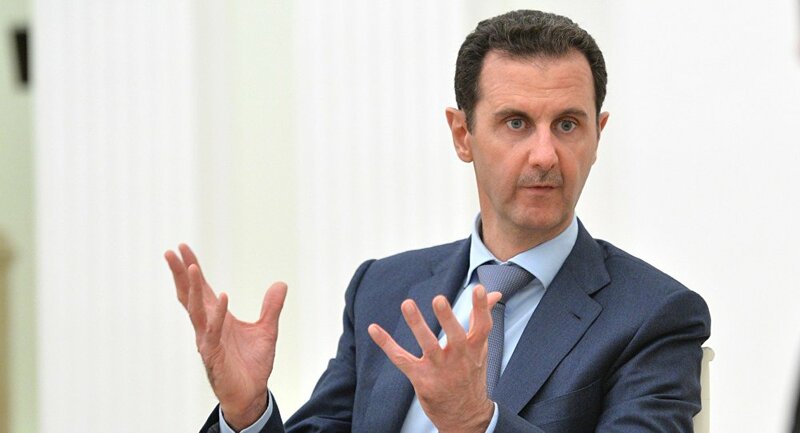 That is why within the reconciliation, when we started reconciliations in many areas, the other factions in the same area tried to destroy it, because they have the orders from the outside not to go toward any reconciliation, of course, you have the orders with the pocket of money,” Assad said. “Because you do not have any other choice – either you have a country or you do not have a country,” Assad said. Assad said the United States put its faith in the SDF, a militant alliance of predominantly Kurdish fighters controlling Syria’s north, after other “moderate” rebel groups it backed turned out to be Islamists. “They are looking for another card. This card is the SDF now because when we are moving forward in different areas to defeat the terrorists the only problem left in Syria is the SDF,” he said. The president said the areas under SDF control would be retaken “with Americans or without Americans.” “And the Americans should leave somehow. They are going to leave,” he added. After having to switch its support between the various anti-Assad factions, and the recapture of the key cities of Aleppo and Deir ez-Zor by government forces over the past two years, Washington, the Syrian leader believes, is “losing its cards” and can be brought to the negotiating table. “Our challenge is how can we close this gap between their plans and our plans,” Assad said. The Syrian leader believes, however, that the closer the deadly conflict comes to an end, the more desperate his opponents’ measures become. He cited the alleged Douma chemical weapon attack (“Is it in our interest? Why, and why now?” he asks) as a last-ditch Western attempt to sway international opinion – one that failed. “They told a story, they told a lie, and the public opinion around the world and in the West didn’t buy their story, but they couldn’t withdraw. So, they had to do something, even on a smaller scale,” Assad said, referring to the joint airstrikes against purported Syrian chemical weapons facilities, carried out on April 14 by the US, UK, and France. Assad says Moscow also played a role in restraining Washington’s influence and meddling in the region, both generally since its invitation to aid Damascus in September 2015, and in this particular incident. “The Russians announced publicly that they are going to destroy the bases that are going to be used to launch missiles, and our information – we don’t have evidence, we only have information, and that information is credible information – that they were thinking about a comprehensive attack all over Syria, and that’s why the threat pushed the West to make it on a much smaller scale,” the Syrian president said. With Western ‘advisers’ deployed alongside their proxy forces in Syria, Assad also thanked Russia for not triggering face-to-face confrontation with the US, which is operating in close proximity both in the air and on the ground. Despite praising the diplomatic efforts of the Astana peace process, and emphasizing the government’s own drive to win the hearts and minds by restoring order in liberated areas, and initiating a process of reconciliation, Assad says there are still some victories that will have to be won on the battlefield. “Factions like Al-Qaeda, like ISIS, like Al-Nusra, and the like-minded groups, they’re not ready for any dialogue, they don’t have any political plan; they only have this dark ideological plan, which is to be like any Al-Qaeda-controlled area anywhere in this world. So, the only option to deal with those factions is force,” Assad said, emphasizing that there is no stepping back now. “The more escalation we have, the more determined we’ll be to solve the problem, because you don’t have any other choice; either you have a country or you don’t have a country,” the Syrian president told RT. Comment: Syrian President Bashar Assad, in an interview with the news channel RT, commented on the issue of Iranian troops in Syria, the Israeli threat and US strikes on Syria.